Horizen’s Arizen wallet has released a mandatory maintenance update. All Arizen users must upgrade their wallets. 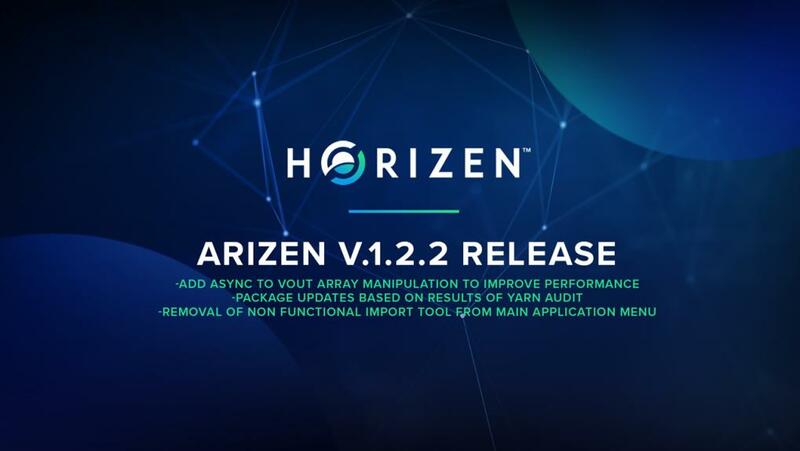 package updates based on results of yarn audit and removal of non-functional import tool from the main application menu.